Photo: Isham Day House, ca. 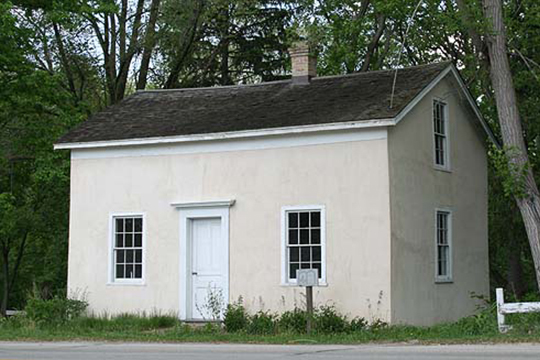 1839, 11312 North Cedarburg Road, Mequon, WI. Listed on the National Register of Historic Places in 2000. Photographed by User:Frekee (own work), 2009, [cc0-by-1.0 (creativecommons.org/publicdomain/zero/1.0/deed.en], via Wikimedia Commons, accessed March, 2014. The Ozaukee County Courthouse is located at 1201 South Spring Street, Port Washington, WI 53074; phone: 262-284-8409. Ozaukee County was created in 1853 from a portion of Washington County.